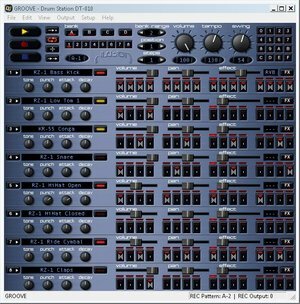 Description: Freeware Drum Machine that features 8 channels of drums with effects. Teaching Ideas: This incredibly fun and useful piece of softaware allows you and your students to explore rhythms, timings and grooves and render them to .wav format. This drum station is as funcitonal as any drum machine produced in the late 90’s and earl 00’s. The recording function makes this particularly useful as you will be able to import this into other software and use in compositions. Direct from Mustech.net’s esnips.com account -Click it! Visit all of our posts that deal with freeware.